Guess what?! Today is Thursday and do we have an inspirational and educational clip for you today! Check it out…it will touch your heart 🙂 Have a great day and wonderful weekend! Line a 12 cup muffin tin with muffin wrappers or spray with nonstick cooking spray. My non-stick muffin tin works so well I didn’t need either. 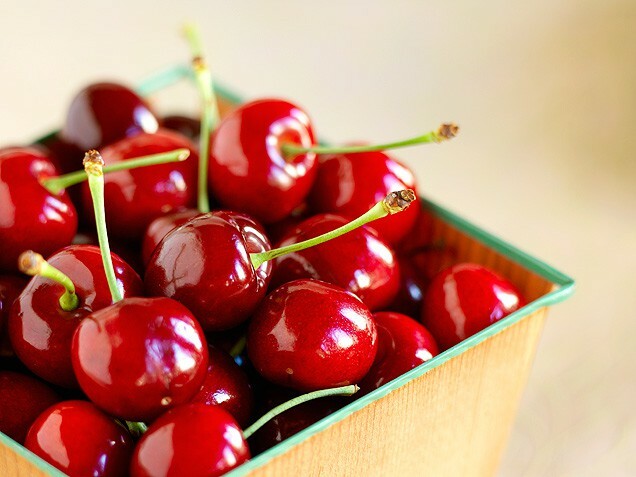 In a large bowl, combine flour, oats, baking powder, baking soda, salt, cinnamon, cardamom and ginger. In a medium bowl combine applesauce, buttermilk, sugar, oil, egg and vanilla extract. Make a well in the dry ingredients and pour in your applesauce mixture. Stir until just moist. Fold in the chopped apples. Fill muffin cups 2/3 to 3/4 full. Sprinkle raw sugar and a light dusting of nutmeg on top of the muffins. Adapted from Joy the Baker’s Oatmeal Blueberry Applesauce Muffins. Method: In a medium size pot on the stove melt the coconut oil on medium high (NOT maximum — this is an important step to making perfectly popped kernels). Once melted, add the kernels and cover the pot with a lid. Give the pot a shake every so often until you hear it begin to pop. Don’t let the pot sit on the hot element for more then 5-10 seconds at a time once the kernels begin popping. Remove from heat when you hear no more pops! Put into a large bowl and sprinkle your sea salt, turmeric and black pepper to taste. **Little tip to make the ingredients stick: Mist the popcorn lightly with a little purified water before adding dry flavorings to help them stick. A potential danger in microwave popcorn is diacetyl, an FDA-approved chemical found in the fake butter flavoring. There’s even a debilitating respiratory disease called “popcorn workers lung,” (the medical name of the condition is bronchiolitis obliterans) suffered by microwave popcorn factory workers caused by extended inhalation of the chemical’s fumes. In response to the concerns regarding the risks of diacetyl exposure, a number of microwave popcorn manufacturers have discontinued using it in their products. 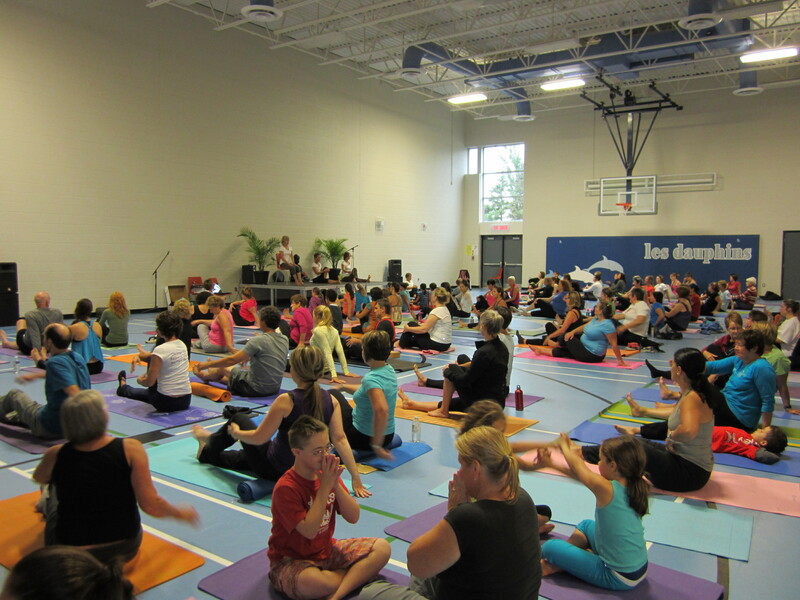 On Saturday September 8th, at Navigateurs Public School, over 100 people of all ages in the community came together to share a Yoga Experience. For some this was a family event and for others a chance to see people maybe they haven’t seen in a while but for all it was an opportunity to Challenge the Mind, Balance the Body and Nurture the Spirit. This class was presented by 5 Yoga teachers in the community, each one of us is trained in different styles of Yoga and it was truly beautiful to see the marrying of all those styles in one class. On Saturday we also raised awareness of the positive benefits of Yoga and Meditation for Mental Health. Carol Boeringer the co-ordinator of the Northern Star program (a division of CMHA) was present with her volunteers to provide us with a healthy snack. The Northern Star program is a Consumer/Survivor Initiative for individuals and their families who live with mental illness. As a community that day we raised $220.00 for their program. This is a crazy world of schedules and to-do lists that sometimes never end. The opportunity to connect the mind to the body while letting everything else go (even if it is only for one hour a week) is so important. On Saturday September 8th We truly learned that no matter what your abilities are, Yoga is doable for anyone. If you would like to see more photo’s of the day please Click here to check out our Facebook page. Saturday truly was a day of magic and joy. Navigateur French Public School for providing the gym at no charge. Steve Teal for providing the sound system. Cassie Daviau and Danika Bailey grade 8 students from St. Michel who volunteered their time. Anna and Liz whose creative energy and tireless commitment to this event helped make it a huge success. Lorrie Mickelson, Trudy Rivard, Anny St. Jean and Terri Ann Gilbert for sharing the stage with us and presenting their beautiful gifts of Yoga. In small bowl, combine goat cheese, garlic, green onion, thyme, marjoram and cayenne until smooth; set aside. Trim any fat from chicken. With knife held horizontally and starting at thinner side, cut chicken in half almost but not all the way through; open like book. Spread 1 side of each with one-quarter of the cheese mixture. Fold uncovered side over; secure edge with small skewer or toothpicks. In small bowl, whisk together oil, cumin, paprika, salt and pepper; brush all over chicken. Place on greased grill over medium-high heat; close lid and grill, turning once, until golden brown and chicken is no longer pink inside, about 16 minutes.